Nearly half a million people avoided buying a BBC television licence last year because of a loophole the BBC hoped would create a BBC Internet Licence. Viewers who use the service to watch catch-up programmes online for free can escape the £145.50 annual charge by declaring they do not own a television set or see live shows. Last year, 463,846 opted out in this way, a rise of more than 35,000 in 12 months. It means the BBC has 1.9million residential and business addresses registered on a database of those who are exempt from paying the BBC licence fee. The figures, obtained under a Freedom of Information request, have sparked fears that the Corporation is struggling to adapt to the internet age. It has led to calls for an overhaul in the way it is funded. Last night, Tory MP Philip Davies, who sits on the Commons culture, media and sport committee, said the growth of the iPlayer and rising numbers of people avoiding the annual fee prove the BBC TV licence system is ‘increasingly unenforceable’. The number of people filling out the form has risen steadily, from 425,590 in 2011 to 428,359 in 2012, and 463,846 last year. It is believed many of them are younger viewers who no longer feel the need to buy television sets or watch TV as it is broadcast. Instead, they can legally avoid paying by catching up with their favourite shows on their computers, tablets or smartphones. Last night, Tory MP Rob Wilson told us: ‘These figures demonstrate exactly why the current BBC licence fee model is out of date. ‘It operates a 20th century model and it won’t last long with the rapid technological advances of the 21st century. 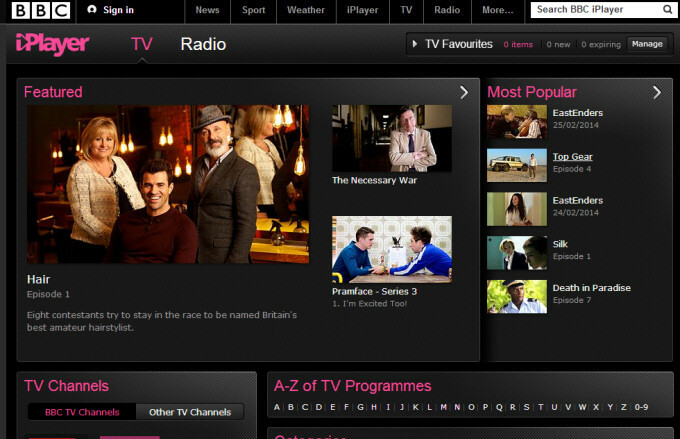 The BBC itself has encouraged the migration of younger viewers to online viewing. Director general Tony Hall recently announced plans to scrap its youth channel BBC3 and put all of its content on iPlayer only. A BBC TV Licensing spokesman said: ‘There have only been small fluctuations in the number of residential addresses that don’t need a licence in the last four years. The BBC TV licence fee could be scrapped and replaced with an increase in council tax or utility bills under a radical plan to be looked at by MPs. John Whittingdale, Tory chairman of the Commons culture, media and sport select committee, said there is a ‘strong case’ for updating the charge. ‘One simple way is to maintain it as a charge to every household but attach it to an existing bill, be it council tax or some other. ‘It’s something that we would consider as a potential alternative,’ he told the Times. Possible changes to the fee are being floated as the committee conducts an inquiry into the future of the corporation. Ministers are coming under pressure to reassure poor families who struggle to pay the fee that they will not face large fines for non-payment, despite a four-fold increase in the maximum penalty, which now stands at £4,000. The BBC licence fee was introduced in 1946 and cost £2 per year for the single-channel black and white BBC service. Households now pay annual fees of £145.50 for colour and £49 for black and white licences – raising £3.6billion a year for the corporation. The Government is also committed to holding a review of whether BBC licence fee evasion should become a civil, rather than criminal, offence. MPs have argued that high fines and even jail are ‘disproportionate’.